The first half drags to death, while the second lacks purpose and defies logic. For instance, which hospital calls its surgical room ‘major operation theatre’? Why would a doctor say, ‘good good’ to a patient’s relative after he promises the doc he would arrange money for an operation. Unfortunately, the film’s highlight is its awful animation. These scenes can give Jaani Dushman a run for its money. Barring Ravindra Jain’s soulful music and Jackie Shroff’s presence, everything else fails. Mahesh Vaijnath Doijode’s story is childish and appears ancient. His screenplay is full of holes and, therefore, fails to involve the viewers. Priya and her parents are shown to be no less than idiots to not realise that Priya’s boss, Rahul, is interested in her. 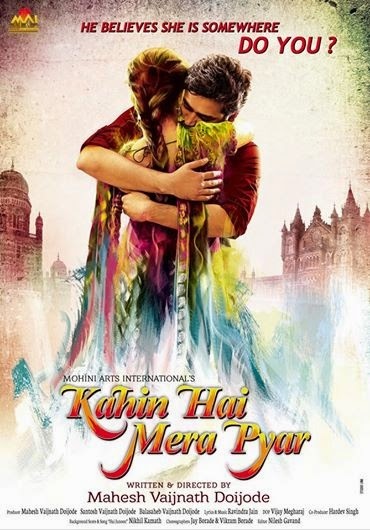 On the whole, Kahin Hai Mera Pyar is a poor show all the way and will flop at the ticket counters. Its very weak start suggests that it may remain a non-starter.